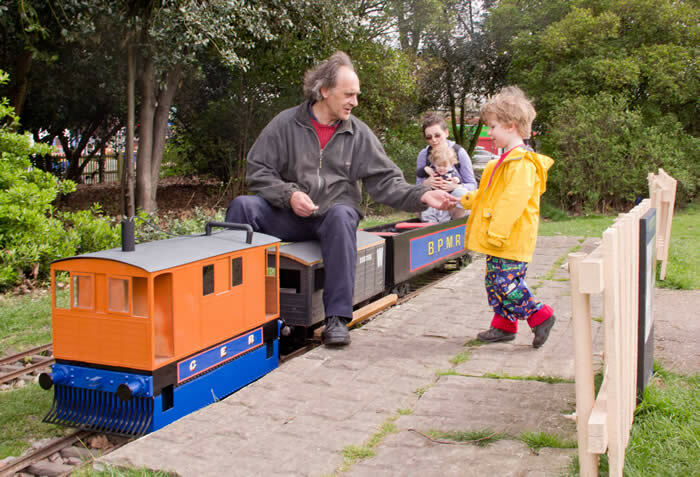 The railway is situated in the grounds of Brockwell Park adjacent to the lido. The line runs parallel to Dulwich Road for about 220 metres. Originally built by Roland Baker, the line first opened in 2003 by the late Lord Mayor of Lambeth and sold to the current operator in February 2006. BPMR Page was last updated on the 20th July 2013 with opening times and photo updated.